Walmart.com is testing a new fulfillment protocol for suppliers selling everyday consumables in multiple categories including pets, dry grocery, office and party supplies, household, baby, health and beauty. The retailer confirmed with Talk Business & Politics on Wednesday (Aug. 29) the test is known as Geo-Location/ Geo-Gaging, and is considered is a next step toward smart basket capabilities used by Jet.com. The test seeks to streamline the back-end fulfillment in everyday consumable categories within its own e-commerce distribution centers, essentially looking to reduce the number of boxes shipped to a single customer, and instead bundling the orders for increased efficiency and a better user experience within two days. Suppliers selling products in these categories who are set up as Drop-Ship Vendors (DSV) took to social media this week voicing some concern over the test which has put their online business in limbo. DSV suppliers to Walmart.com typically keep their inventory inside their own warehouses. When an order is placed the seller ships it to the buyer with a Walmart packing slip. Walmart can also ask the seller to ship to a certain store location for pick-up. Walmart covers the cost of the shipping via UPS ground delivery. Suppliers were being told this week Walmart is only going to cover shipping on those items above $28 (Walmart’s cost) and those will be the only DSV-eligible items in the future. Suppliers are being told if they don’t fit the new DSV guidelines, they can sell their products via the marketplace and be responsible for the fulfillment and shipping. Walmart.com did not confirm any price threshold, but did say not all products are available within two-day ground delivery to all customers. Suppliers to Walmart.com said they were told by their buyers this week the new test designed to cut shipping costs is also needed to improve the retailer’s profitability to meet fourth quarter goals. A pet product supplier said all of their items would be now be ineligible for DSV, leaving them pondering their choices. Several DSV suppliers said they are being told by buyers to bundle their products online for a higher cost in order to better cover shipping fees. The cost they each heard was $28. One user commenting on the social media site said bundling could be one of the only options left for DSV suppliers selling items in the affected categories. To bundle, suppliers would have to create a new UPC code for the bundled item and new global identification code (GTIN) for the large case size. Another user suggested creating a minimum “add to cart” quantity. For instance, a vendor selling nutrition bars could set the minimum at 10 single bars. This is akin to bundling, which is also a possible solution for DSV vendors who want to keep selling their items on Walmart.com. This play would require working with a buyer to complete. With competitive pricing algorithms, there is the chance if suppliers bundle with Walmart, then Amazon could undercut the bundle price, leaving Walmart to again match the lower price and render the bundle unsustainable and subsequent removal from the site. One supplier from Fort Smith said his company was being pushed by Walmart to sell in case packs only to incur a price high enough to cover shipping. Another option would be for the supplier to set up as third-party sellers and cover their own shipping costs. Other options include turning off the ship-to-home option for items that don’t meet the minimum profit thresholds for the retailer. 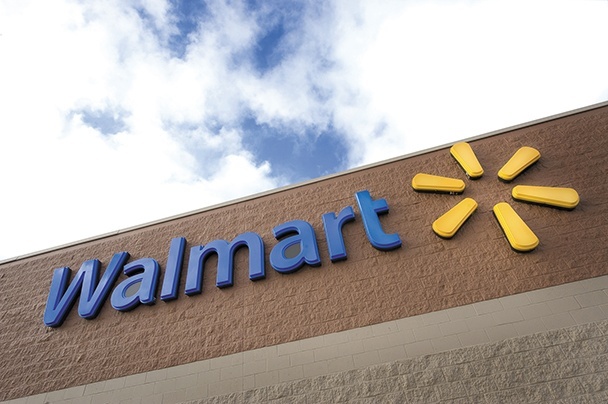 Earlier this year, Walmart U.S. eCommerce CEO Marc Lore met with suppliers such as Unilever, Procter & Gamble and Kimberly Clark and informed them of the retailer’s new focus on merchandise priced at $10 minimum for online items. The large suppliers typically handle their own freight in full-truck load and are not DSV. Lore said at the time the focus of higher cost minimums for online items was a direct response to an effort to raise profit margins high enough to cover shipping expenses. This move toward soliciting higher priced goods is a fundamental shift in the direction of Walmart, a company that historically has pressured suppliers to get lower costs that can be passed on to customers Earlier this year, Walmart began charging more for items sold online than comparable products sold in stores. The pickup discount, according to Lore was the retailer’s way of passing along the savings. Dr. David Rogers of DSR Counseling group warned there could be issues down the road for Walmart charging higher prices online than in its stores. He said retailers are starting to realize selling items online for a loss makes little sense. He said Amazon does it to some extent because it can reap revenue its other businesses like web services. Walmart said the new test does not affect its online grocery pickup business, but rather categories where single items are set to be delivered to a customer home.